First Holy Communion or Communion before Confirmation is the ceremony during which young people receive Holy Communion for the first time. In the Parish of Colgate and Roffey, children are admitted to First Holy Communion between the ages of 8 to 10 after first completing a course of instruction. 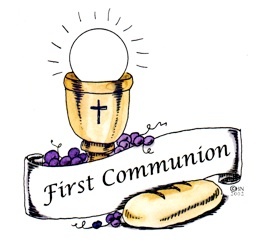 If you wish your children to be admitted to Holy Communion, please speak with Fr Russell. Children are normally admitted either on All Saints Day or the Feast of Christ the King. If you are about the age of 10 and would like to receive Holy Communion, you will need to be confirmed. Click here for more information of Confirmation.